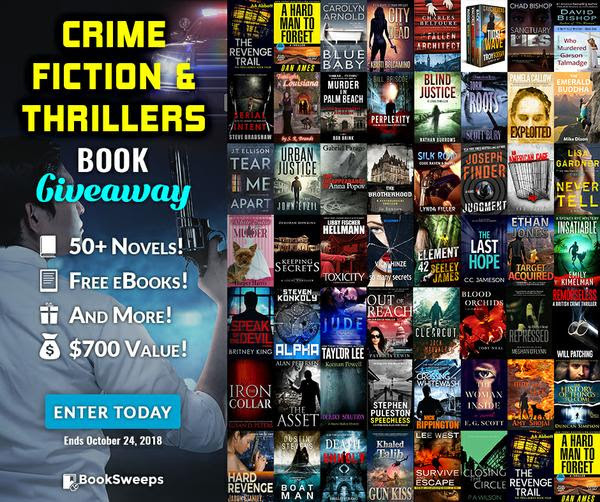 50+ CRIME FICTION & THRILLER BOOKS GIVE AWAY! In fact, I had an overwhelming response asking for more contests/ giveaways of both fiction and nonfiction titles. So . 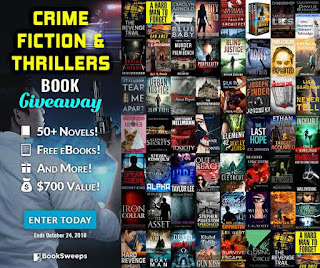 . .
I’ve teamed up with 50+ fantastic authors to give away a collection of crime & thriller fiction, and there will be TWO lucky winners. The Grand Prize winners will receive ALL the listed ebooks, plus a brand new eReader! THIS PROMO ENDS WEDNESDAY OCTOBER 24 so please share with other fiction fans before it goes away! GET THE GIVEAWAY DETAILS HERE!